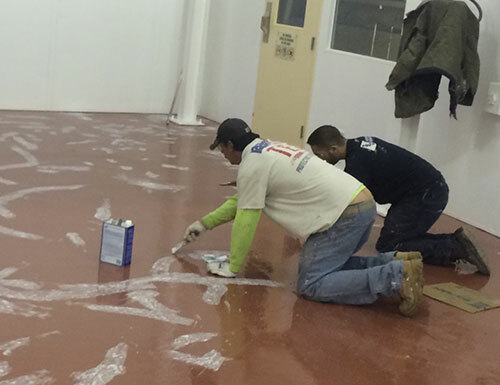 TEC Protective Coatings provides expert application and surface preparation of all specialty coatings including industrial painting, clean rooms, and tank lining projects. TEC has completed projects worldwide for large organizations and at the same time can manage entire projects for a small or medium size companies. If your organization has a complete set of specifications that need to be followed we can make it happen. If your organization is not sure of what will be required we can manage this process for you. No matter where your organization is located we can provide your specialty coating needs, our reach is world wide. TEC has been providing quality specialty coating services since 1992. We strive to create a company that prides itself on speed, ingenuity, and safety. Staff on board with TEC have met the NACE – National Association of Corrosion Engineers. Certifications. Additional training is part of our process. At TEC, our goal is safety and staying current with everyday changes and innovations related to our industry. We are proud of the many employees who began their careers in the field that have grown Project Managers. We set high standards for what quality in industrial tank painting and coating should be, investing in the latest equipment, and keeping our workers trained and certified in all work practices and safety procedures. Our unique combination of professionalism, safety and trustworthy service makes TEC the name people pass along to others when it comes industrial painting and coatings projects. Training continues in the field and the class room from our daily safety topic to the most advanced ways to remove, prep and apply the most advanced coatings and toppings. 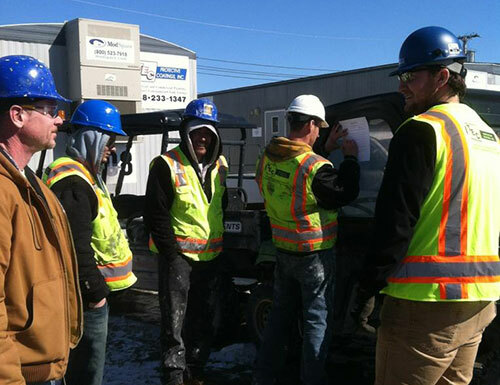 Every new employee begins at TEC with an introduction to safe work practices. Employees at TEC believe they are not working a job, but building a career. TEC is NACE and SSPC Certified and holds many manufacture certifications with our various suppliers. TEC’s management team holds over seventy years of experience in the specialty coatings industry. TEC keeps contact with customers throughout the project from inception to completion. TEC is committed to attending to your service and maintenance needs.